The back cover of my new novel, Secrets and Lies, says that unlike Carol (the heroine) I’m not related to a dangerous offender. I have a happy home life, and I’ve never been threatened by a drug lord. I’ve also never endured a miscarriage, the death of a husband (she’s better off without him) or of an adolescent son. Nor was there domestic violence in my home as a child. What made me want to write Carol’s story? Well, for one thing, she’s had a lot of hardship, and I wanted to bring her to a better place. Even if that better place was only accessible by walking through more trouble. Enter the drug lord and his threatening phone calls. Carol reacts to stress by pulling in on herself and exerting as much control as she can over the pieces of life within her grasp. Including her son, who she’s pushing away with her restrictions. Control isn’t a healthy way to live. We know that, but trust issues can make it nearly impossible to let go. Then the question becomes not simply do I trust others, but do I trust God? Do I trust His heart, His ability to make a difference…do I trust Him even when He doesn’t do things my way? Even if He allows the unthinkable? Not that we could stop Him, but we can worry ourselves sick thinking about what-ifs. That’s why I keep reminding myself that whatever happens, Jesus will be there. And I choose to trust God to pick up the pieces. The better I know Him, through life experience and through the Bible, the easier it is to trust Him. Even if the way leads through trouble. The other reason to write Carol’s story? It let me explore my own questions about control. This is one of those lifetime journey issues, but I hope her experiences led us both to a place of releasing a bit more of the controlling tendencies that can wall us off from the world. When we’re walled off, we’re not free. We’re not living the life God wants to give us, and we’re certainly not showing our unbelieving friends and family members that God is worth trusting. I’m not suggesting we become passive. Instead, we can cultivate an active, obedient trust that lives in expectation of God’s care – even when we have no idea what that care will look like or how He could possibly come through for us this time. He’s the same God who has sustained His people for thousands of years, and He hasn’t failed one of us yet. What are some of the ways you keep fear and control from defining your life? Janet Sketchley is the author of Heaven’s Prey and Secrets and Lies, two novels of suspense and redemption. She also blogs about faith and books. 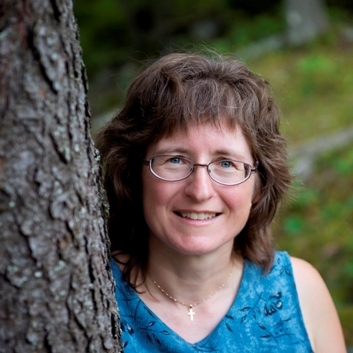 Janet loves adventure stories, worship music, tea and Formula 1 racing. Like Carol in Secrets and Lies, she loves music and tea. Unlike Carol, Janet isn’t related to a dangerous offender, has a happy home life, and has never been threatened by a drug lord. May those tidbits continue to hold true! You can find Janet online at her website. 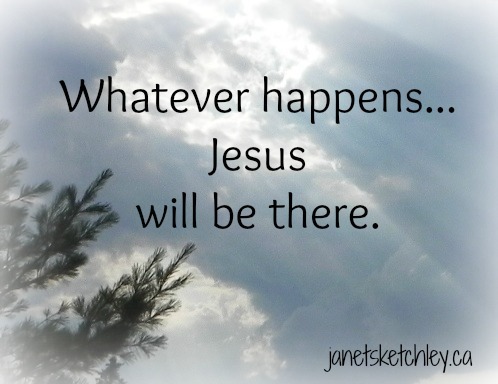 Fans of Christian suspense are invited to join Janet’s writing journey through her monthly newsletter. You can also catch up with Janet on the Secret and Lies website, on Facebook, Twitter, Amazon Author Central, and Pinterest. Really enjoyed the interview. 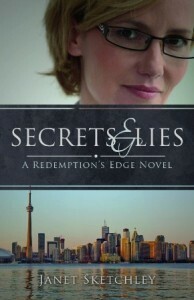 I loved the book Secrets and Lies.